Missouri man tried to put out garbage fire by driving over it in van filled with ammunition. 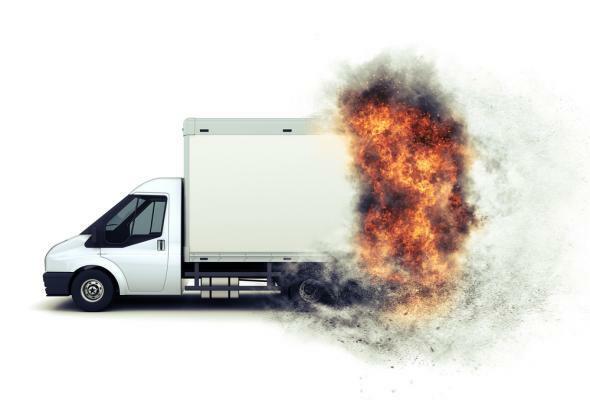 Stock photo of a van on fire. In an attempt to put the fire out, he drove his van back and forth over the flames. That’ll happen. That will happen. You really need to click through to the Kansas City Star’s site to see the picture of the burned-out ammunition van in the middle of the field. It’s really something.